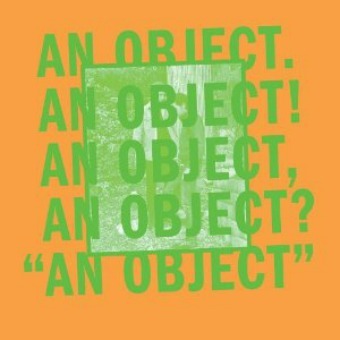 Dean Spunt and Randy Randall, known more formally as No Age, are back with: An Object. Their first LP in three years finds the L.A. punks growing older and wiser, but not much quieter. While there are moments of pure beauty to be found, this is still a No Age record, and the restlessness of their journey from Weirdo Rippers to Nouns to Everything In Between is magnified here in spades. Coupled with the fact that the band took on as much of the actual process, doing everything assembly-wise but the actual pressing for the LP’s and CD’s themselves, and you have a band that just won’t roll over. Like the Minutemen circa Double Nickels On The Dime, they’ve discovered the secret reservoir of feel inside their thorny songs, fine tuning their musical language to the point that supports any default setting, loud or soft, as evidenced by “Lock Box” or “An Impression”. “I Won’t Be Your Generator” is another No Age anthem in the vein of “Teen Creeps” or “Fever Dreaming”. An Object begins with chiming chords and ends with shimmering drones, and the middle is a trip only No Age could take you on.